Jim has walked in, studied and melded with nature and its creatures his entire life. He has dedicated the last twenty years of his path to serving people through providing educational, spiritual and healing opportunities. His degrees are in education and Masters in environmental interpretation and natural resource management. His real degrees are in what he has acquired from his indigenous teachers and directly from Mother Nature. 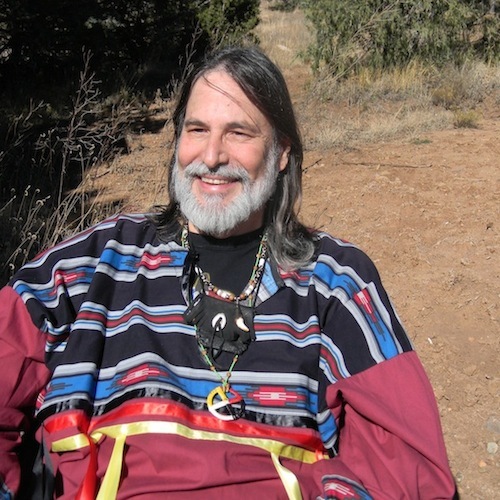 In 1990 Jim began studying with indigenous people; Native American; Mayan; Australian; African and other. He has run non-profits and served on the boards of others for over twenty-five years. Jim has two books currently in print: White Man, Red Road, Five Colors (International Book Award finalist) and Walking With the Earth Mother. Follow the spiritual journey of one man, which is really the journey of all people. Author Jim 'Graywolf" Petruzzi works with people of many cultures to understand life, often through the medium of the natural world. As you experience the pleasure, pain, and growth of Jim's walk, you will find ways to apply what you read to your own journey. 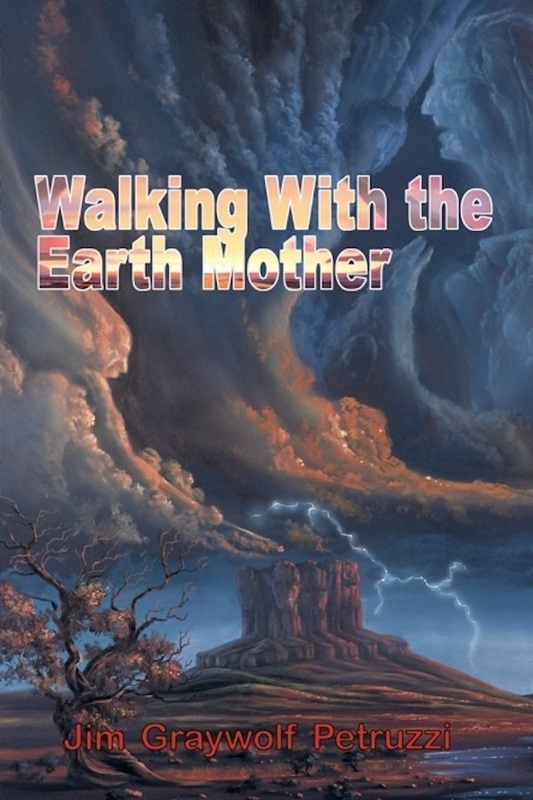 Walking With the Earth Mother follows the spiritual journey of Jim Graywolf Petruzzi into realms that his first book, White Man, Red Road, Five Colors, introduced briefly. Jim's thirty-year immersion in the lives and lore of his Native American, Mayan, Australian, and other indigenous teachers are shared with the readers in an intimate, meaningful way. Jim invites you to join this journey with him. Few have so walked a road of this nature and fewer still have shared their story. With Jim, learn new ways to heal and understand the Creator's messages as he rises from the pain and ashes of his personal tragedies like the Phoenix of old. Travel at his side as he finds a soul mate and new friends to share with him the joy of the natural world and the honor of serving the generations to come in the future. When you leave this book, you will leave with new friends and new ways to deal with life's bumps.